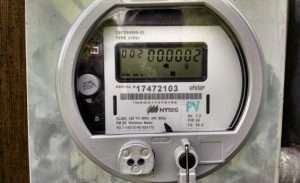 The New York Public Service Commission (PSC) is planning sweeping changes to the ways New Yorkers will receive their electricity. Huge central generating plants will be phased out, and much of the electricity supplies of the future will be locally generated by smaller facilities scattered across the countryside; these local generators are known as Distributed Generation (DG) resources. The spreading out of generation across the State will reduce the risks and inefficiencies of central generation and grid distribution; the grid will still exist, shuttling energy where it is needed, but DG will improve the grid’s efficiency by geographically matching electric supplies with electric demands. Plans for organizing microgrids are still being developed by the PSC. The first microgrids will probably be built around major electrical consumers such as an industrial facility or college campus, with the surrounding residential and light commercial neighbors added in, based on the arrangement of the regional utility company’s lines. The utility will retain ownership of the transformers, wires and poles, and will continue to provide metering and billing services; each microgrid will be responsible for its own DG facilities, and contracts for the purchase of outside power and sale of surpluses. In areas where the customers do not organize themselves (either alone or with the assistance of outside developers), the utility that serves each area will be responsible for microgrid development. In keeping with the State Energy Plan adopted in 2015, Distributed Generation resources will be required to be “clean.” This includes solar photovoltaic, wind, hydro (both conventional and pumped storage), biogas (digesters), and biomass; natural gas is also considered “clean” energy under the State Energy Plan guidelines. Research by Drs. Howarth and Ingraffea at Cornell has repeatedly demonstrated the fallacy of the “clean” gas myth, but the facts have not convinced Albany thus far, so “clean” gas is in our future. The first microgrids to be established under REV will be organized and assembled as demonstration projects designed by utility companies. From the experiences and insights gained in these projects, guidelines for additional microgrids will be drafted by the PSC, many months from now. Private developers already exist in other states where microgrid development is ahead of New York, so consumer-based groups that wish to organize their own grids will have experienced professionals to draw upon when the time comes for action. How might the microgrid transition play out in Franklin? The grid connection for Franklin, Otego, and the surrounding environs is the substation on Route 7 on the western edge of the Village of Otego. According to New York State Electric & Gas (NYSEG), the substation’s service area overlaps all or parts of at least six towns and villages in Delaware and Otsego Counties. Getting that many municipal bodies (town boards, village boards, county boards) to come together and agree on a microgrid plan seems improbable. The service area is not host to any large base load consumer, so organization by a major energy purchaser is not likely either. If the residents of the service area want to manage their own microgrid—choose their energy suppliers, choose their DG facilities (solar, wind, biogas, etc. )—then they are going to have to organize themselves. Otherwise, NYSEG will do the organizing, and as NYSEG’s preferred mode of operation is gas-fired generation, that’s what we’ll get. NYSEG is probably very pleased that the Tennessee Gas Pipeline compressor station planned for Franklin Mountain has been upgraded with a second compressor to service local distribution—good for NYSEG, not so much for those living in the area. But these and other renewable energy opportunities will likely go untapped in the foreseeable future if the developer of our local microgrid ends up being NYSEG. Stuart Anderson is a resident of the Village of Otego, an organizer for Concerned Citizens of Otego, and member of Compressor Free Franklin and Stop The Pipeline.